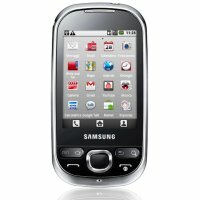 Samsung i5500 Galaxy is the fifth model of the Galaxy family. Like the i5800 is aimed at novice users who do not expect the phone too much. What can we expect the i5500 - poor specification and a very affordable price, that is all you need to start a first date with Android. Remember that entered PIN on the website must be exactly the same as PIN entered in the setup program on your Samsung Galaxy i5500. Does your solution suitable for monitoring fleet transport company? Is my geo-location data safe - how do you protect my privacy? Does using SpySat have I access to the historical location data?